Performance Insights | People and Tools Improving Performance in the Financial Services Industry. People and Tools Improving Performance in the Financial Services Industry. We bring together the people and the tools needed to increase profits in the financial services industry. 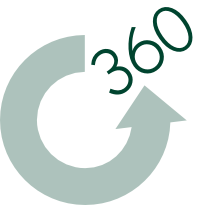 We optimize practice management through 360° analysis and goal-centered coaching. Our network of expert Performance Strategists pushes advisory teams to successful new heights – increasing profitability, productivity, and retention. Our suite of tools, the Performance Insights Process™, is the first industry-specific, online, 360⁰ feedback, benchmark system designed to cultivate top performing teams. This practice management engine represents a comprehensive approach to assessing the effectiveness of three critical PERFORMANCE DRIVERS of an organization – its people, team dynamic, and business model. It is a unique suite of diagnostic tools that helps identify the root causes for the obstacles that are hindering the ultimate success of an advisory team. This insight allows firms and business coaches to provide the appropriate practice management resources at the right time to maximize results and drive future success. All of the assessments utilized in the Performance Insights Process™ are administered online and have a foundation of proven practice management expertise for the financial services industry. People are fundamental to maximizing overall performance. This area of the process utilizes the Strengths and Motivators Assessments to help ensure that the right people are engaged in the right roles and are highly effective in their interactions with one another and their clients. In order to properly serve clients, teams are now essential. One key benefit of a team is to orchestrate everyone’s talents to achieve a common goal. The Team Performance Assessment allows each member to provide their perspective on understanding their current team dynamics and areas where they can increase their effectiveness. You must KNOW your business intimately if you want to GROW your business. Analyzing all aspects of a practice leads to optimizing its performance and increases long-term viability. Our final diagnostic, Business Performance Assessment, solicits each team member’s perception of both the efficiency and effectiveness of all core functions of the business. Professional advisors know how important it is to conduct a thorough assessment of a client’s situation before making recommendations. They also know the benefits of asking the right questions. In many cases, the assessment itself can be “worth the price of admission” since it helps clients realize where the gaps are in their current financial plan. For this same reason, we utilize assessments when building and developing a high-performance practice. Performance Insights provides “how-to” content and resources exclusively for the Financial Services Industry. Whether an internal Corporate Department charged with business development or an individual advisory team, our resources are designed to optimize results. ROP = Return on People™? © 2011-2019 Performance Insights, Inc. All rights reserved.